Zee shared with me another Indian recipe. It’s an Indian dessert called Kheer. Kheer is basically an Indian Rice Pudding. 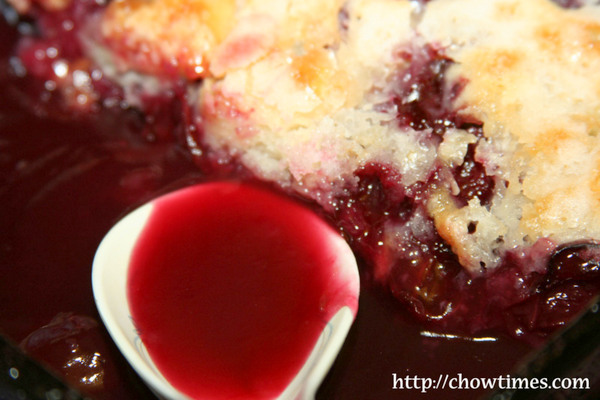 I love dessert and this is a very simple dessert recipe to make with some left over cooked rice on hand. 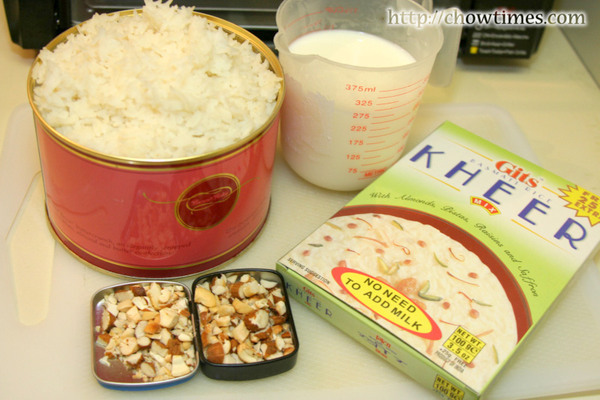 Kheer mix can be found in ethnic groceries stores. 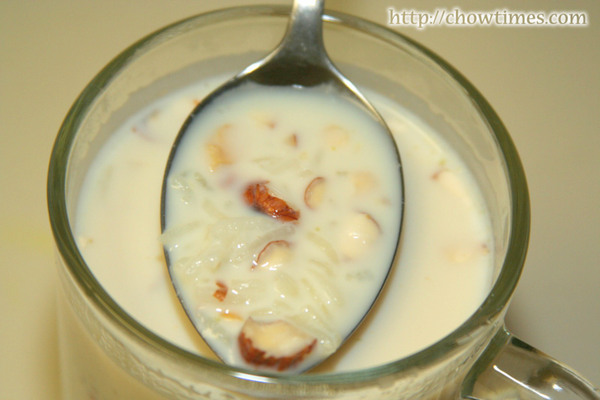 If you do not have Kheer mix, you can substitute the Kheer mix, milk and sugar with 1 can of evaporated milk and 1 can of condensed milk. Click in the link below for instructions. Allie’s husband, Duke came over from Korea for a two weeks vacation this summer. As he always does, he brought over lots of goodies from Korea. Allie gave us some Korean seaweeds and snacks. Allie, Duke, thanks for the stuff. We always enjoyed getting this from you and learning more about the Korean culture first hand. 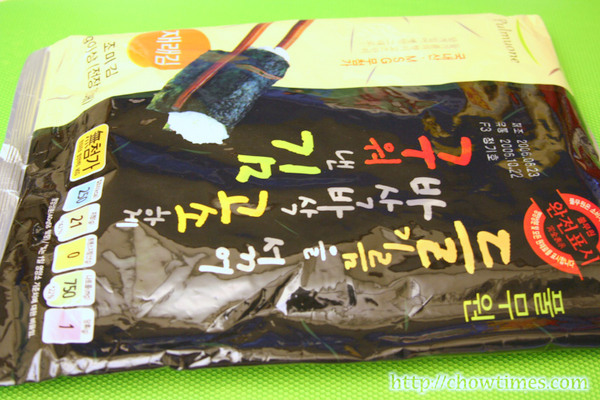 Korean seaweed is somewhat different from those Japanese types which are commonly found in the groceries stores here. This one is seasoned and more flavourful with a tinge of salt. Last week, I made a simple lunch of Korean Sushi for Arkensen and Nanzaro. The boys can eat gobs and gobs of sushi. 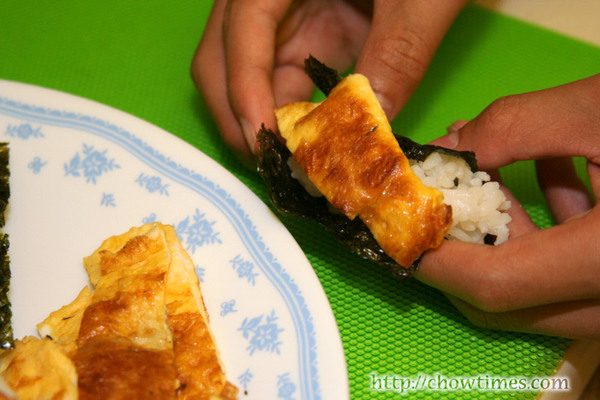 I cooked some Japanese short grain rice (sushi rice) according to the package instructions. I then seasoned the rice with some seasoned rice vinegar. Simple and fast. I fried a few very thin omelette and cut them into small pieces. The seaweed came in large piece and I just cut them into two inches squares. Allie had showed us how to eat with the Korean seaweed a few months ago. 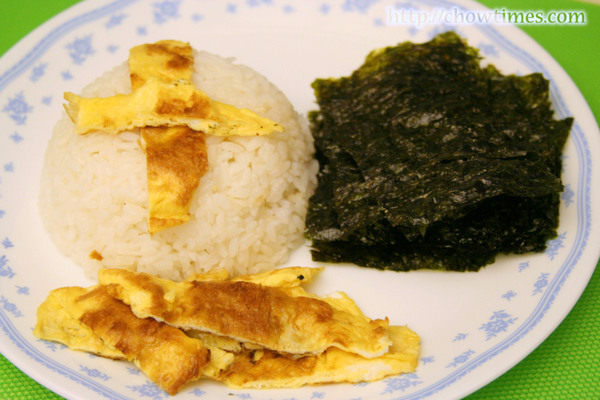 You put some rice on the seaweed and top it with the omelette or any other meat like Korean beef, etc and eat it just like that. Yup, you use your hands. Ivar’s is a famous seafood restaurant chain based in Seattle. They are the ones who has been sponsoring the 4th of July fireworks in Seattle every year since 1964. Ivar’s own a few nice waterfront seafood restaurants in Seattle. 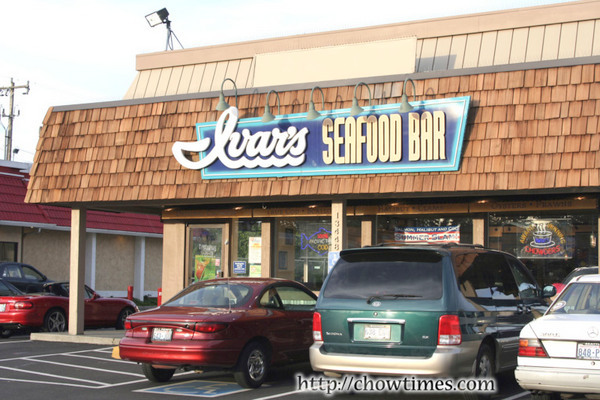 They also have about 30 Ivar’s Seafood Bars around Washington state. There was one in Aurora nearby our hotel and decided to check that out for dinner. 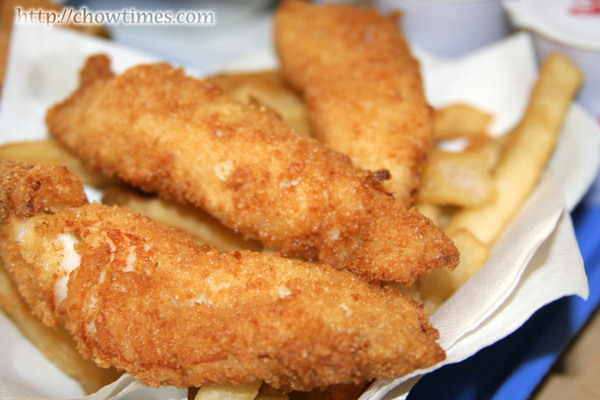 We had no idea how their fish and chips is like. I thought that it would be the ones I had in London – big piece about 8″ long. So, we ordered the 3-piece fish and chip. The fish (Pacific Cod) were nowhere the size I thought. The batter was perfectly light and most importantly, not too greasy. Friends have told us about Trader Joe’s and raved about how different they are from other grocery stores. We don’t have TJ’s in Canada and have always planned to check out TJ’s the next time we’re near Seattle. We found one in Everett on the way to Seattle. TJ’s products are private labeled. They are known for their low prices and boasted the fact that each and every item in the store are tasted by their own panel. Only items they like are sold to the public. If you don’t like the things you bought, you could always return them, with no questions asked. Since we’re travelling we just bought a couple of snacks for the trip, although there are so many other stuff we wanted to buy too. 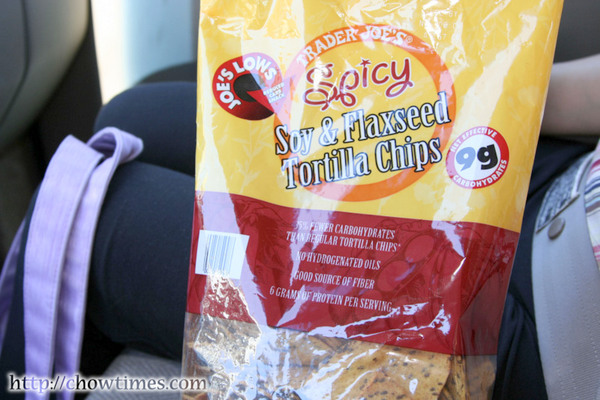 We bought a bag of TJ’s Spicy Soy and Flaxseed Tortilla Chips for $1.99. The tortilla chip is really good. 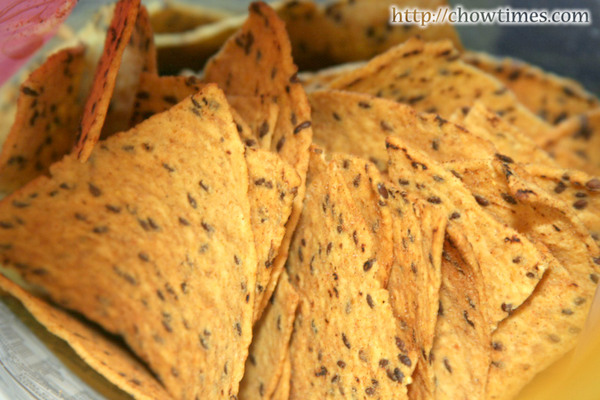 It has a flaxseed (like sesame seed) embedded on the chips which gives it a nutty flavour. The spiciness was just right. We couldn’t stop munching them in the car. 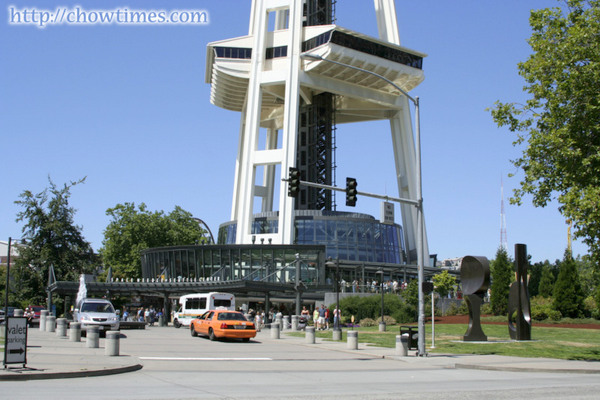 The Space Needle is definitely the most recognizable landmark in Seattle. The Needle was built in 1982 1962 (Helena pointed out that the Needle was built in 1962, not 1982. Amazing, over 40 years old!) as the central showcase of the Expo. We had been up on the Space Needle before and so did not go up there again on this trip. 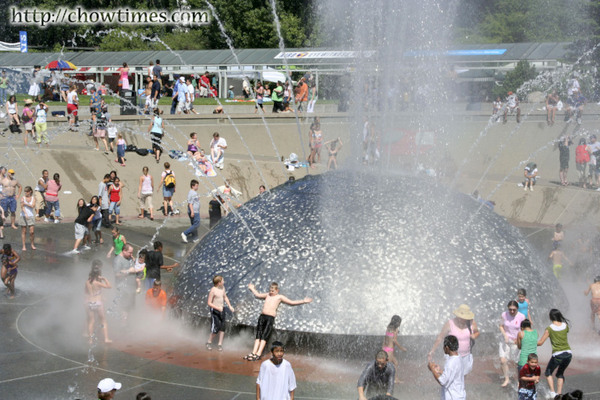 At the Seattle Centre (where the Space Needle is located), there is a dome shaped fountain called the International Fountain. It was a pretty hot day and there were a lot of people cooling off near the fountain. 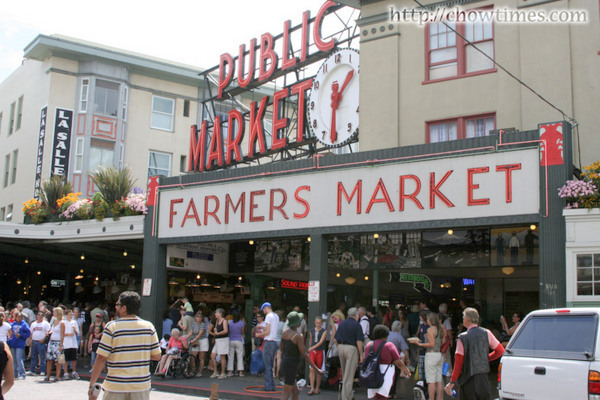 No visit to Seattle is complete with making a visit the Pike Place Market. This is the place where the first Starbucks shop was opened. We tried looking for it in the Market but could not find it. We found one across the street but I don’t think it’s the original one. Do you know where that original Starbucks is? 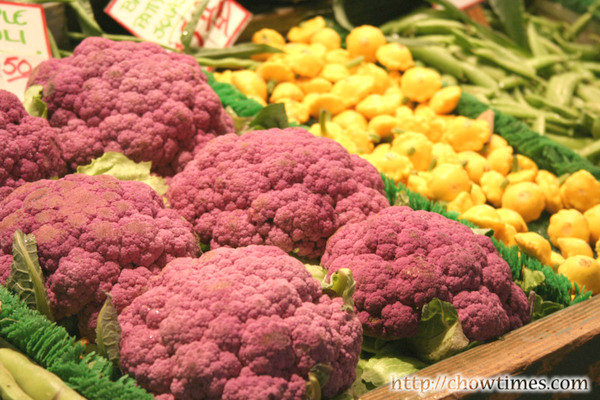 The purple coloured cauliflower caught our attention. The Bite of Seattle is an annual affair held at the Seattle Center. 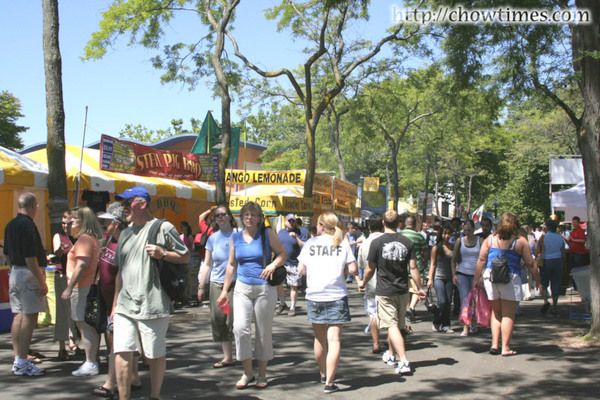 The 2006 event is the northwest premier food festival and hosts more than 50 restaurants, 30 food product companies and other food and beverage related events. We were there primarily for the food. When we got there at about 2 pm, there were already a lot of people. Couple with one of the hottest days, it was quite unbearable really. Our main grouse is that the organizers did not have a proper eating area with tables and chairs. So, most people ended up eating on the lawn under trees. The below is Alligator Meat. It tastes a lot like chicken to me and do wonder if they really are alligator meat. 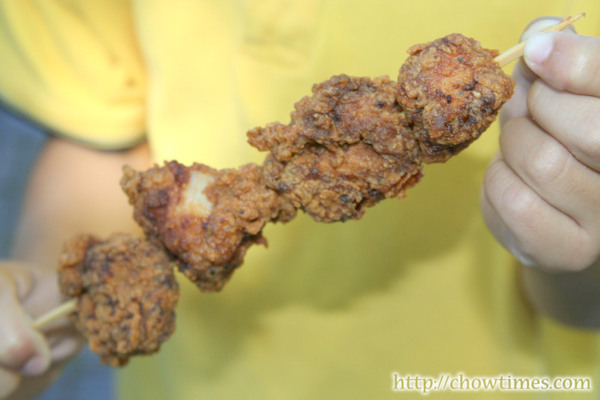 A skewer costs $5 … it better had to be alligator meat for that kind of money! 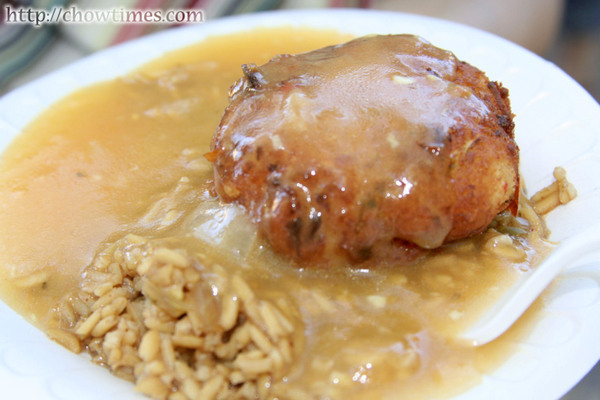 The Louisiana Crab Cake costs $5 and is served over dirty rice and lemon garlic and tomato wine sauce. We’ve never tried this before but frankly, this does not stand up to Chinese style dish of the same sort. I guess we’re not used to having so much sauce drowning the rice. The Salmon and Cream Cheese Piroshky is a Russian food very much described as a pocket pastry. It appears deep fried. 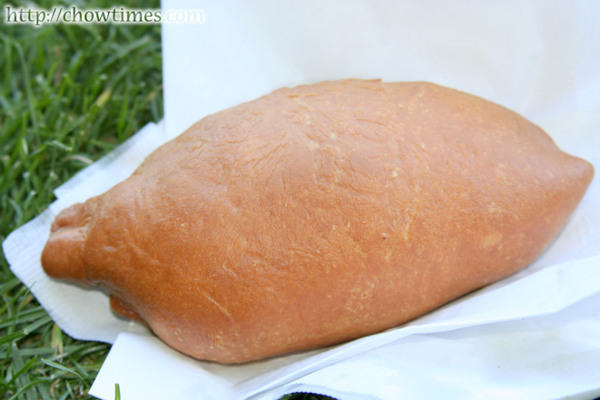 It is crusty on the outside and has a pillowy pastry just under it. We just made a two-day trip over the weekend last week. This time was to Seattle to check out the Bite of Seattle event. We have never been to the Bite of Seattle and was really captivated by the scale of the event on the website. They appear to be much bigger than the EAT! Vancouver event here. So, here we go again … another series of blog on food and of our short visit. Since we had to leave early, Suanne wanted to have breakfast out instead of getting up way too early to prepare breakfast, not to mention the time needed to clean-up. We went to the McD outlet in the Ironwood Mall. The things we do for a blog these days! 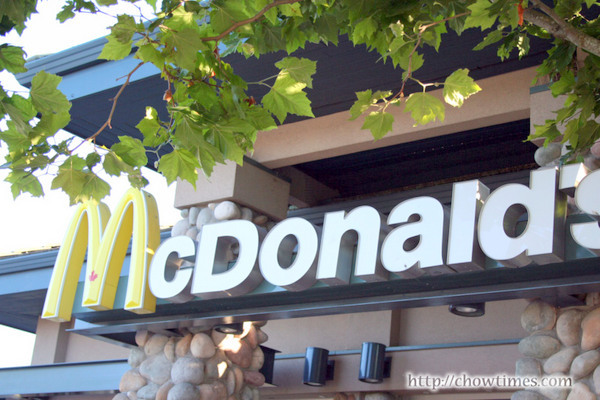 What we ordered was different sets of Extra Value Meals — McGriddles, McMuffins and Bagels. 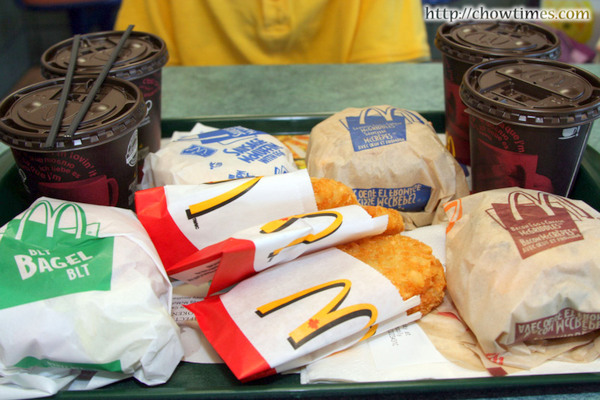 Besides the sandwich, the Extra Value Meal includes coffee/hot chocolate and Hash Browns. 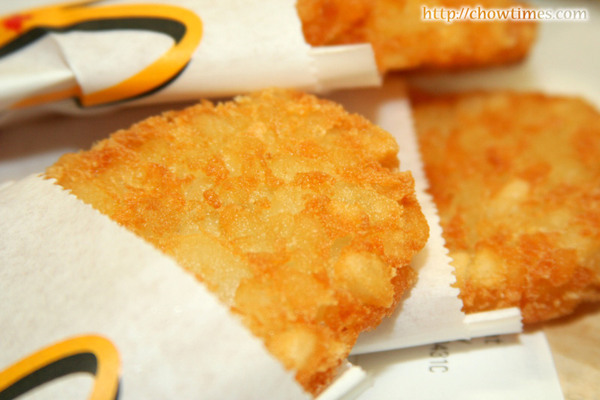 We like their hashbrowns very much — made to perfection, if you ask me. Total calories 150. 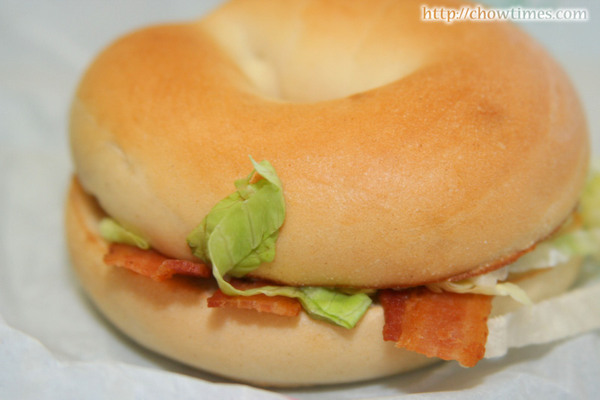 The first sandwich is the Breakfast BLT (that’s Bacon Lettuce Tomato) Bagel. Looks pretty but seems very dry … need to wash it down with lots of coffee. That’s 430 calories. 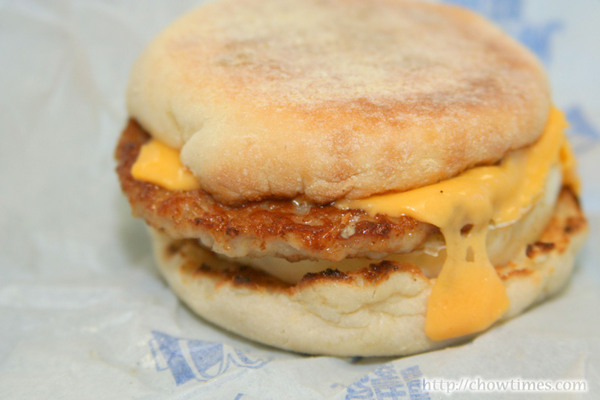 Next on the list is the Sausage McMuffin with Eggs. The sausage (in the form of a patty) looked juicy. We liked the melted cheese look on the bun — does makes it look more appealing, doesn’t it? The bun looked dry. This has a bit more calories: 440. It was a hectic week at work for me the past week. At the end of the week I was totally glad that it was the start of the weekend. So, Suanne and I went for a walk and wondered into the T&T Supermarket because the weather was so hot. 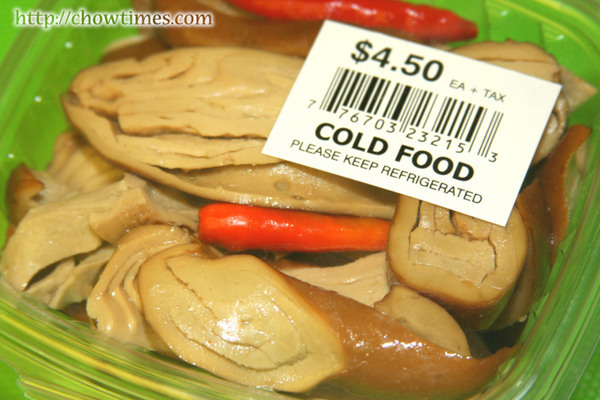 We stopped by the Chinese Cold Snacks counter in the supermarket because we wanted to get something to munch. 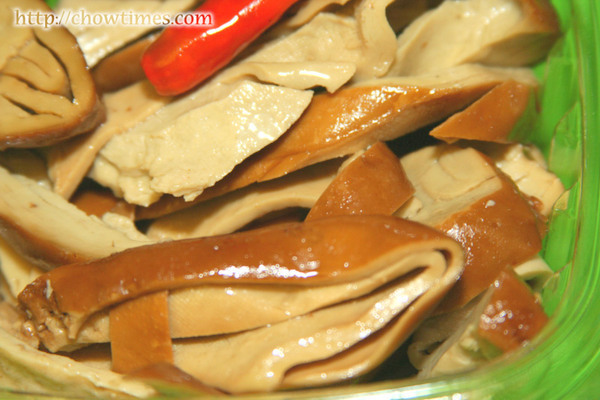 We selected the Marinated Beancurd because they look so appetizing, especially with the Thai Chilli granishing the snack. 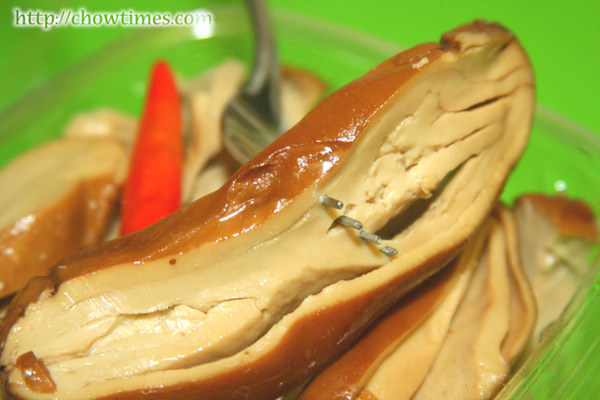 They tasted a bit chewy but do find that they are also too greasy or oily. It has a hint of spiciness from the Thai Chilli. The large container weighing 0.8 lbs came up to $4.50. Updated: 7th August 2010: This restaurant has moved to 110-8291 Westminster Hwy, Richmond. Pho Viet is another favourite Vietnamese Restaurant we go to. 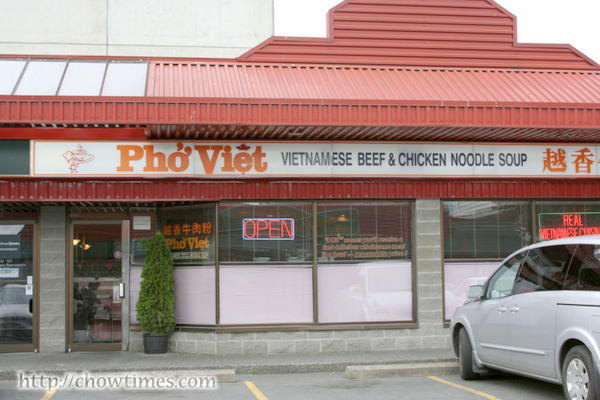 They serve pretty decent pho but what we really like is their curry chicken with vermicelli. This restaurant is located on Ackroyd in Richmond. 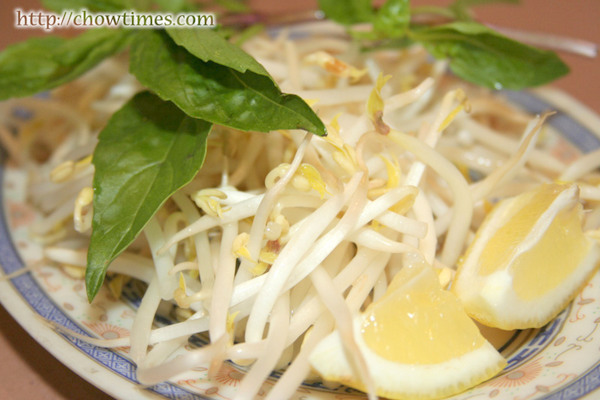 As in almost all Pho restaurants, we were first served with a plate of fresh beansprout with basil leaves and lemon wedges. The beansprout is very crunchy and “watery”. We actually prefer those that were blanched. 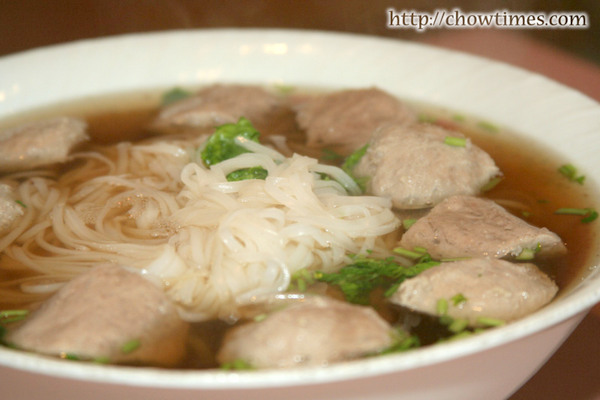 The boys will always order the pho with beef balls. Sweet cherries are great just eating them as they are. 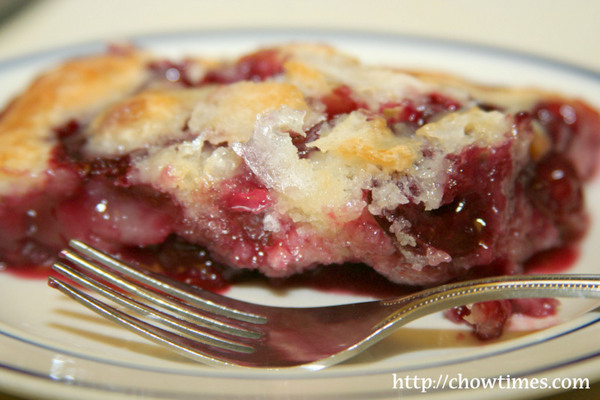 However, we picked so much cherries that I have to bake something with them. 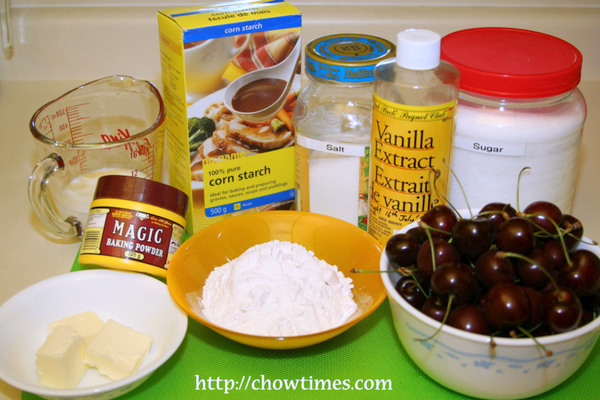 I found this recipe which uses sweet cherries. It’s a pudding cake. This pudding cake is so juicy that juices over run onto my oven. So, if you would like to attempt this recipe, use a bigger pan or put an aluminum foil lined baking sheet below your pan to catch the juices. I must say that the most tedious part of this recipe is pitting the cherries.